Hi everyone! 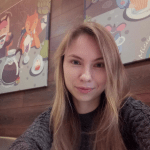 I`m a native speaker and teacher of Russian language.I`m friendly person and I love helping you feel comfortable and seeing you reach your language goals. I`m passionate about international communication and provide 24/7 support to my students.